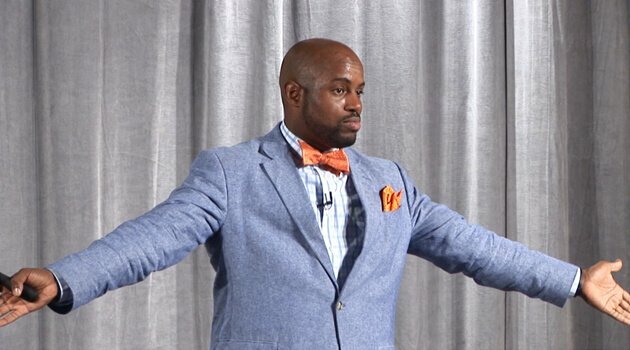 Justin Jones-Fosu is a premiere Employee Engagement and Peak Performance Speaker who engages professionals with an energizing approach and compelling content. Justin speaks 50-60 times a year to professionals, corporations, and organizations. His speaking has led him to inspire 250+ organizations across 4 countries and 45 states. Justin is a former HR professional who obtained his MBA specializing in leadership and organizational change and undertook further graduate studies in the area of Human Resource Development. He is a professional member of the National Speakers Association and a member of SHRM. Being a former weekly radio host, Justin continues his passion for current events and how they can positively shape our lives.